We are professional movers and we know that when the day comes for you to relocate you will need comprehensive and meticulously tailored London man and van services. Fortunately for you, you have already found us which means that you won’t have to look long in order to find the assistance that you need. We are one of the finest removal contractors in the city and this is due to the fact that we work in a diligent, dedicated and punctual manner. Removal 24 maintains the entire gamut of moving services, so rest assured that we will be able to lend you a hand with the organisation and execution of your upcoming residential or commercial removal in London. To us it doesn’t matter whether you are facing a full scale relocation or a single item delivery project because we have the manpower, technical capacity and expertise to handle both jobs with flying colours and in full accordance with your requirements. 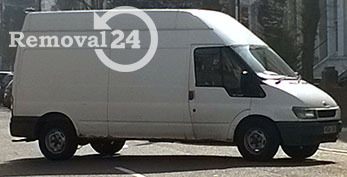 Our man and van removals in London are provided by our skilled and highly competent packers, carriers and drivers. Every single one of our employees has numerous years of experience behind his back and is a true expert in his field. In fact, in many ways it is because of our removal technicians that we have managed to maintain a 100% completion ratio throughout all these years. So, don’t worry that your move may be too demanding or complex for us because we promise you that we will handle it impeccably. For further information regarding the remainder of our services we invite your explore our company website. We operate throughout the city of London. It has a population of over 13 million people and covers an area of 3.236 square miles, metropolitan area included. London is home to several well-known landmarks including the Tower of London which houses the world famous Crown Jewels. The structure is recognised by UNESCO as a World Heritage Site and is listed as a Grade I edifice.